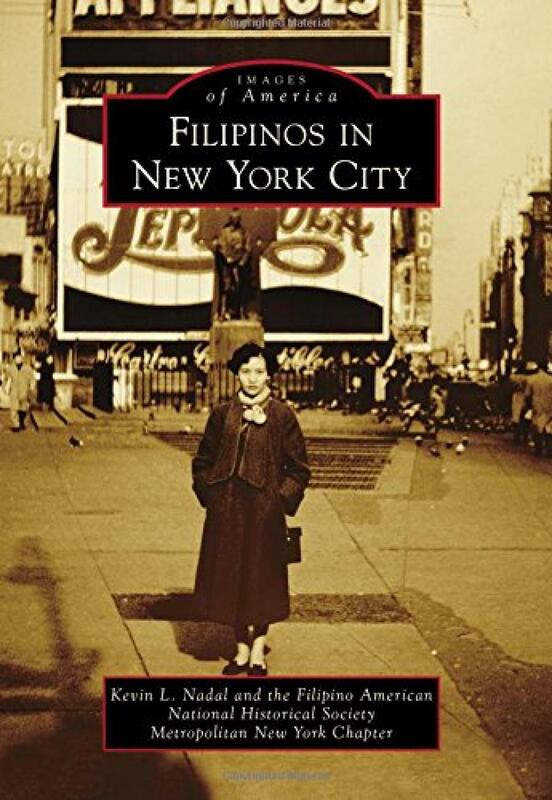 In 2015, Arcadia Publishing released “Filipinos in New York City” a labor of love edited by Dr. Kevin Nadal and the Filipino American National Historical Society Metro NY Chapter. For months, FANHSMNY put out the call to our community to share photos of the Filipino New Yorker experience. And the community answered the call, with wonderful photos and oral histories to share. This book documents the experience of Filipino Americans in New York City from a restaurant in Brooklyn that could have been lost to history and newsletters of international students to the modern, thriving scene of Filipino-American cuisine, culture, and community building. The photos and vignettes contained in this book tell a story that will resonate with Filipino-America, of promise and opportunity, of surviving and thriving, and combining the sensibilities of a far off land and culture with a New York State of mind. You can now have a mini-archive of the history of Filipinos and Filipino Americans in New York City by ordering a copy of the book here.